Now, between these logical twists, let’s take a turn towards the magical remedy of it. Lets try out these Five magical beauty hacks that we probably never knew before. Toothpaste hack- We all knew toothpaste did clean our teeth,but clearing away blackheads in just a minute is surely magical. Yes, with a toothpaste, you can get rid of those stubborn blackheads within minutes and painlessly. Just apply a pea amount on your nose, rub it for a minute with your fingers and then clean it with a good,clean and soft brush for a minute. You’d discover a new glow and black heads gone after you wash it. Papaya banana crush- We all want shine look on our faces that stars pride of, yes? Well, here’s an easy trick for the same. You not only can get a beautiful, glowing skin, but it gets nourished from inside too. Just crush together a piece of papaya and banana together and rub on your face for two minutes, wash and see the results. Almond oil hack- Worried of the effects of pollution on your skin? Is the daily dust making your skin look dark and dull? Just massage with a little sweet almond oil daily before and after your house and feel the healthy glow. Oats powder hack- Are wrinkles giving you a lot of stress? Worry not! We have got healthy oats to clear the mess. Just grind some handful of oats into fine powder and apply on your skin mixed with milk thrice a week and feel the difference. The magic of vinegar- This one’s an all rounder in creating magic. Be it dull skin or hair, vinegar fits in everywhere. Apply on your skin mixed with rose water for a cleaner look or add-in your bathing water (a tablespoon diluted in a little mug) to give your hair a beautiful shine. These Five hacks are life savers when it comes to fast, convenient and efficient beauty care. Do try and let us know in the comments how you feel about it. This post is written by saba ladha, do follow her blog for more such beautiful posts on beauty, health, food and lifestyle. More such magic hacks coming, till then, stay tuned! This entry was posted in Uncategorized on January 25, 2018 by Samreen. 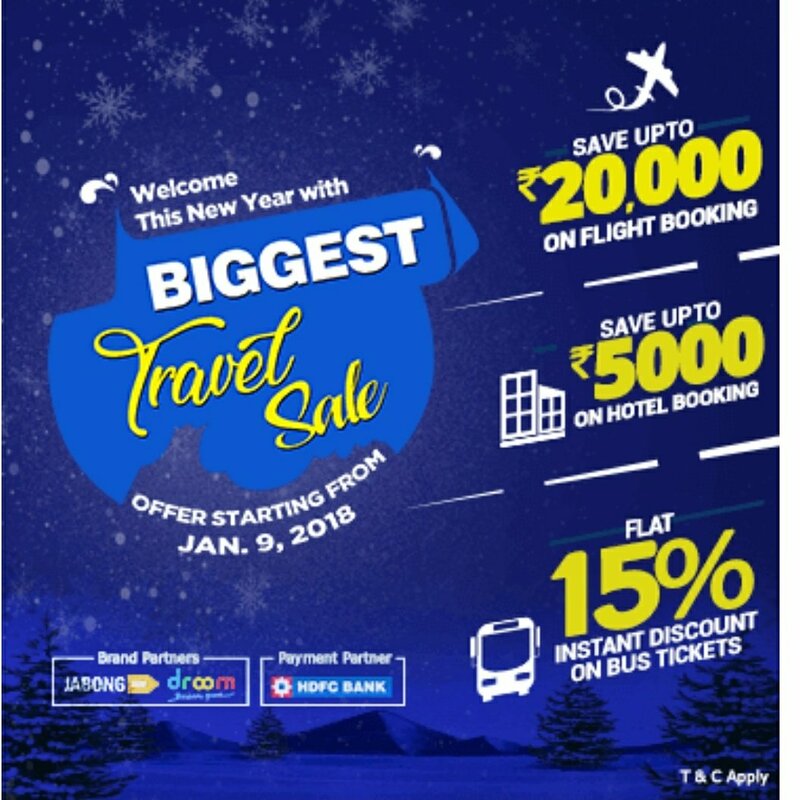 EaseMyTrip Booking Period Starts from 09th January, 2018 to 11th January, 2018, where one can avail discount upto Rs.20,000 on flight tickets and Guaranteed discount upto Rs.5,000 on your hotel booking , This is possible with Easemytrip.com‘s biggest travel sale of 2018. One can even get an instant 10% discount on their bus tickets, just if you don’t wish to fly and prefer road travel. Simply Use the code “WELCOME2018” to experience the whole new means of unexplored travel destinations.Now Go ahead and make the booking possible with EaseMyTrip’s website, Mobile site Android and iOS App. Also additional cashback guaranteed on transactions done with HDFC bank debit cards and retail credit cards. So go ahead, and avail the offers of Flights too as Its Time As you Travel with #EaseMyTrip and win astounding gifts with EaseMyTrip.com where users Will get a chance to win Activa from Droom, Rs. 50,000 Exclusive Vouchers from Jabong and Gift Vouchers worth Rs. 8000 from various brands.. This entry was posted in Uncategorized on January 9, 2018 by Samreen.